Ducted gas heating is one of the most effective and efficient ways to heat your home or business. However, like any system around the home, it does require a little care and attention. To ensure that it continues to operate at peak efficiency and performance, you may need to consider ducted gas heating repairs and servicing. Ducted gas heating systems have several components; insulated ducts, a thermostat, vents and the heater itself. The system involves passing cold air over the heater’s heat exchanger. The air is warmed through gas combustion before it is directed through the ducts to heat the property. The warmed air is moved into the rooms through vents installed in the ceiling or floor. The thermostat is typically located in the main living area. This placement ensures that the temperature is gauged to assess whether the heater needs to be switched on to maintain the desired temperature. These elements work together in concert to ensure that your entire property enjoys consistent heating to your preferred temperature settings. Just like your car, your gas heating system needs regular maintenance to ensure that it continues to operate correctly. Most manufacturers recommend that gas heating systems are serviced at least once a year, with the best time being just before the cold weather arrives. Once the winter temperatures hit, your heating system will be more frequently used, increasing the possibility of a worn component failing. The main benefit of regular ducted gas heating service is that it can provide preventative maintenance. A professional technician can check the system for any signs of wear and tear, and replace the worn components before they fail. This is usually far cheaper than waiting until the component fails and triggers a breakdown. Additionally, the technician will check to ensure that your system is operating at peak efficiency to save you money on your energy bills. Do You Need Ducted Gas Heating Repair? While preventative maintenance is great, there is still a possibility that you may be in need of repair. Fortunately, in most instances, your heating system will provide you with warning signs that something is not quite right. The most obvious signs that you need ducted gas heating repair is that your heating system is not effectively heating your home. 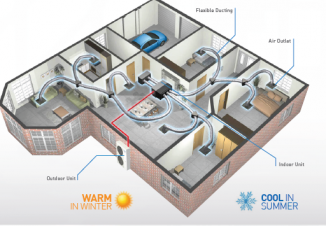 You may notice there are cold spots in certain areas of your home, or the system is short cycling. This means that the system is turning off and on frequently. Other signs that you have a repair issue includes odd noises. If you notice that there is a squealing or grinding noise when your system is operating, this issue will not resolve itself and needs urgent attention. If you are interested in learning more about ducted gas heating repairs, Perth property owners should speak to us. 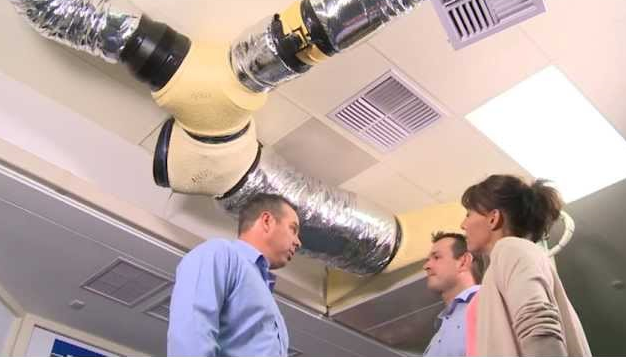 The Air Cair team has experience in all aspects of ducted gas heating service and repair. We would be happy to answer any queries or questions you may have or schedule your appointment.